Detroit. The motor city. Home of the infamous Coney Dog, the Tigers and Greektown. But many would be surprised to know that the grassroots of a Detroit fashion industry have already begun to bloom into a popular scene. When the economy took a turn for the worse and many were left jobless, Detroiters began to rely on their creative skills, turning towards fashion and other artistic outlets. With local fashion houses working to keep businesses and jobs in the city, many Detroit-based designers have chosen to stick around because they feel the city offers an inspiration that both challenges and satisfies their artistic tendencies. Not only that, but it seems that Detroit offers a unique take on fashion–an edgy, working class kind of attitude that challenges designers to appeal to a grittier, more industrial consumer demographic. Fashion entrepreneur and designer Joe Faris gained prominence after competing in the fifth season of Project Runway. When he returned home, he chose to continue his passion by starting Motor City Denim Co, an homage to his hard-working hometown. Not only is Faris’ line fashion-forward, but it’s also practical, as it is designed specifically as a combination of “designer brands” and “blue collar professionals” (in fact, one of Faris’ lines is called Industrial Couture–a juxtaposition that speaks bounds of its intention). 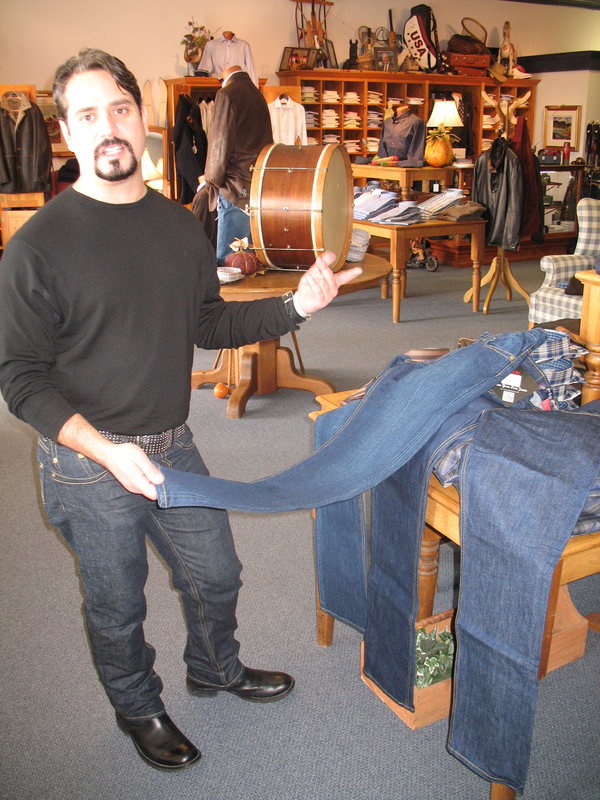 But while Faris’s denim designs provide an interesting twist on a popular and practical piece of clothing, other designers, such as Shinola, have dropped the idea of practicality altogether and instead chose to embrace the roughness of a city defined by its manufacturing industry. Shinola, a design company that makes both watches and bicycles, bases a lot of its ideas on a modernist approach to manufacturing. Inspired by its industrial surroundings, Shinola designs are stripped to their most essential units, with heavy reliance on sturdy, long-lasting materials and optimum construction techniques. 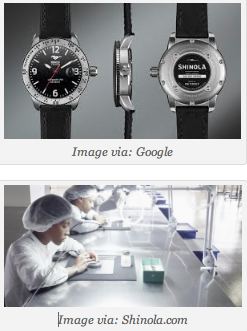 What is interesting about Shinola, however, is its company philosophy. COO Heather Carr has said in interviews that despite higher costs, not having their production outsourced is an invaluable characteristic to their watches and bicycles. This ideology echos that of the automotive industry, with many advertising campaigns, like Chrysler’s “Imported from Detroit”, proudly displaying the product’s domestic production. With this kind of attitude, Shinola manages to reiterate a positive image for the city, using fashion production and design as a means by which to deliver a message of resilience and determination to all those who doubt the capabilities of Detroit. 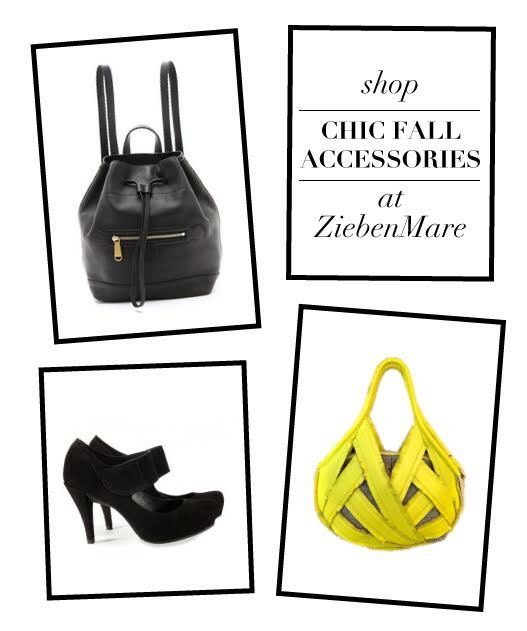 But it’s not only the attributes of the city that make it so appealing to fashion designers and artists alike. The opportunity for regrowth and rebirth appeals to many young artists, striving to bring a new image to a city frequently brought down by disheartening media portrayals. One of the leaders in rebranding Detroit through fashion is Emily Thornhill, creator of Homeslice Clothing, a down-to-earth, casual and affordable clothing line that puts a comfy, chic twist on the traditional business-casual office attire. Thornhill’s line is often complimented for its use of eco-friendly materials, such as organic, American-grown fabrics, but what’s really interesting about Thornhill’s collection is the way in which she envelops Detroit’s slow regrowth into her designs. As many of her materials are both organic and domestic, both her clothes and production processes mirror the attitudes of many entrepreneurs trying to restart the city’s economy. Thornhill has stated in interviews that she feels honored to be able to work towards change in Detroit, inspiring people to also bring their artistic talents and ideas to the city. As Detroit is full of opportunities and a thirsting need for a thriving creative cultural scene, Thornhill’s clothing line seems to be appropriately working to contribute towards the fulfillment of those needs. Another hard-working, creative Detroit mind is Sarah Lapinski founder of Motor City Sewing, an upstart sewing factory and design house whose goal is to attract artists and designers from the Midwest. Trying to bring young, up-and-coming fashion designers to Detroit, Motor City Sewing works to make it affordable for young designers and fashion entrepreneurs to create masterpieces. Both Lapinski and her business partner Sarah Lurtz fuel the design house with their own personal profits in hopes of helping to build a creative industry in Detroit, one that will truly make a contribution towards the city’s regrowth. The slogan “Made in Detroit” is a huge selling point for Lapinski as it focuses her work on the city of Detroit as opposed to all of Southeast Michigan. By branding her products with the authenticity of the city, Lapinski has aided in giving Detroit a romantic appeal–a city simply begging for creative minds to rejuvenate its lost luster. Managing to bring together the sports fanaticism of the city and the up-and-coming fashion scene, Denise Illitch Designs, works to create apparel and accessories that are uniquely, authentically Detroit. 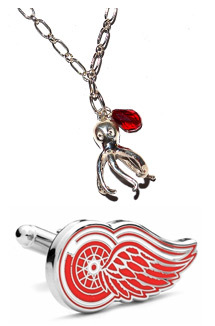 The product line, consisting of graffitti-inspired apparel and charm bracelets featuring everyone’s favorite Detroit sports teams, represents, at its basis, the city’s urban, cultural, and influential environment through the use of images that are universally and unforgettably Detroit. 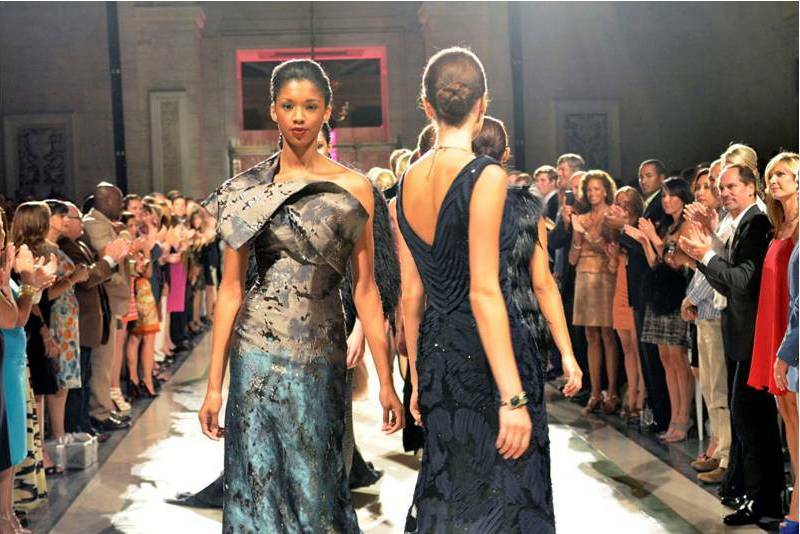 What makes the fashion scene in Detroit stand out amongst those in other major cities such as Los Angeles and New York is that Detroit fashion designers and entrepreneurs make it a point to be a part of the creative portion of rebuilding Detroit. Instead of simply building infrastructures, artists in Detroit are reviving the city by giving it the liveliness of fashion, art and creativity. A city that has a flourishing fashion scene is one that integrates both passion and culture in order to attract those who are eager and interested enough to venture into a city believed to have long lost its glory. 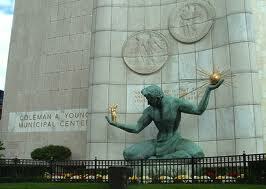 But what the Detroit fashion industry has proven so far is that a city full of fashion is one that is full of life. People are innately drawn to the arts, and fashion design is not only a form of art, but also a creative outlet easily shared among designers, producers and consumers alike. Beat the Heat: Styling Tips to Keep You Cool This Summer!